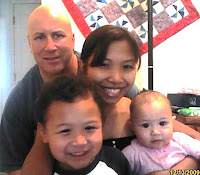 My Parenting Journey: Watching Despicable Me 2 with friends! It was such a nice evening last night. We had our friends over to have Pizza Dinner with us. The kids had fun playing while waiting for the dinner to be serve. We had great conversation with our friends and of course after dinner, we decided to play Sequence game. It was totally an awesome game for family and friends! Everyone had a great time and then after the game, we had the dessert (Vanilla Ice Cream). 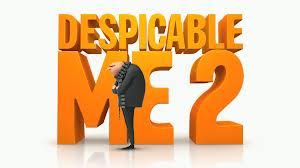 The kids was asking if we had the movie Despicable Me 2 since they never see it on theater. Good thing we had one! We actually bought it on VUDU. While eating dessert, we watch the movie and we really had great time. It was an awesome night with friends!